Land O’ Lakes, FL – (May 20, 2013) – We are disappointed that Governor Scott vetoed the $1.5 million the Legislature appropriated for the Pasco County K-20 STEM Magnet Academy. We remain convinced that a science, technology, engineering, and math magnet academy is needed in Pasco County Public Schools, and we plan to continue our pursuit of a viable source of funding to get it started. I want to thank Senator John Legg and House Speaker Will Weatherford, as well as the entire Pasco County Legislative Delegation, for their unwavering support for this worthwhile program. Considering the increasing number of STEM-related jobs in Florida, the District School Board of Pasco County knows that preparing students for careers in STEM is crucial. With this Academy, our goal is to graduate students who are ready to further their STEM education or go straight to work in high-wage, high-skill jobs. Starting in the 2013-2014 school year, high school seniors will not be expected to complete the capstone project commonly referred to as a senior project. Watch this video of Senior Project Task Force members explaining in their own words why they recommended that District Senior Projects be suspended. Contact the Office for Teaching and Learning if you have any questions. Wiregrass Ranch High School has been named an Apple Distinguished School by Apple Computers. Apple Distinguished Schools are K-20 schools that demonstrate an innovative and compelling learning environment that engages students and provides tangible evidence of academic accomplishment. Wiregrass Ranch is the first school in the District School Board of Pasco County to receive this impressive recognition. Principal Ray Bonti, staff, and families were recognized at the February 19th School Board meeting. Learn more by viewing this video. 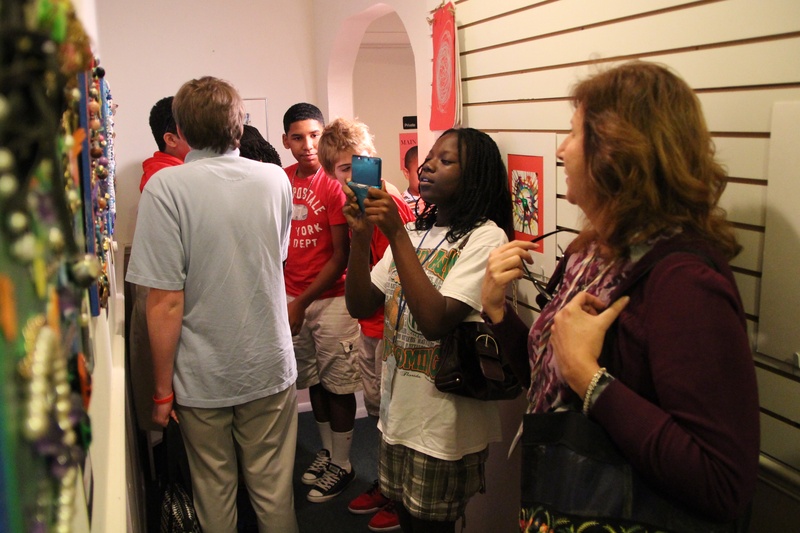 Congratulations to the students of Weightman Middle, Moon Lake Elementary, and Deer Park Elementary for their student art exhibition currently available for public viewing at the Progress Energy Art Gallery in downtown New Port Richey through the end of February. These young artists were provided this experience through an artists residency funded through the Very Special Arts (VSA). This organization is centered around the commitment for arts instruction and experiences in the arts for all. An artist works with the students for eight sessions, once per week. During this time the students and classroom teachers work hand in hand with the artist to assist in discovering their artistic flare. In the last week of residency, the artists unite to create a collaborative piece. This piece will be on display back at their school. 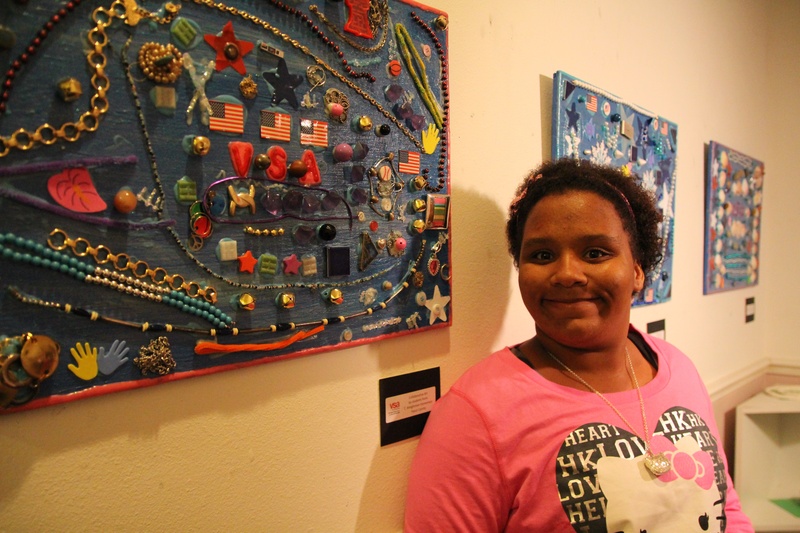 One piece is chosen through each residency to display in Tallahassee as a showcase for what programs and opportunities through VSA can lead to for our students. We are very thankful for this residency and the continued partnership with VSA to assist in providing opportunities for our students. Congratulations to all our student artists. To learn more about VSA, please link below. It takes teamwork from the Shady Hills Elementary Earth Patrol students to help Sumter County, Arthur Clothier properly plant one of two oak trees near one of the schools playgrounds. To help celebrate Arbor Day, the students from Shady Hills assisted in site preparation and eventual placement of the oak into its new home. 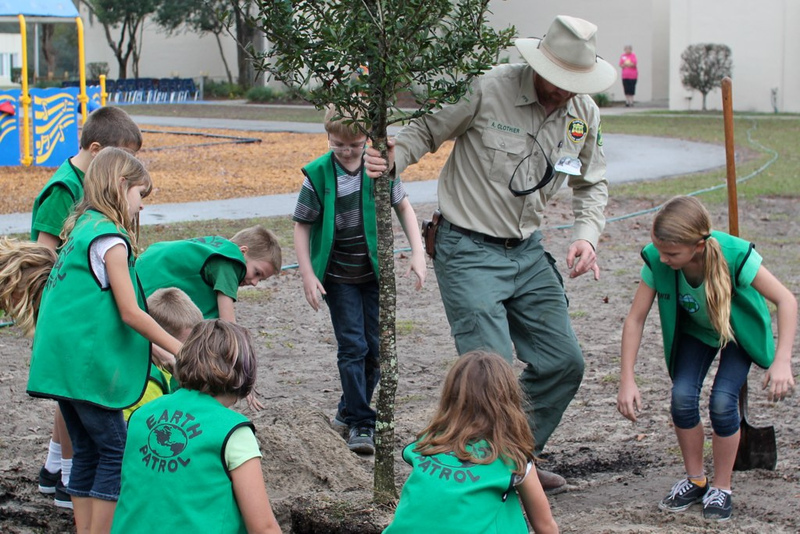 The trees, donated by Pine Lake Nursery in Lutz, will provide much needed shade to students for many years to come. “Thanks to the administration and staff at Shady Hills Elementary for putting on an excellent program,” Luikart said. I couldn’t agree more. Great Job, Shady Hills Lions!! Please do your part - RECYCLE! For more information on the District School Board of Pasco County’s recycling program please visit our website at http://www.pasco.k12.fl.us/conservation or contact Tony Bartenope, Recycling Coordinator at abarteno@pasco.k12.fl.us.